The silent artillery of time is the great threat facing any government. If political leaders spend too much time looking over their shoulders, worrying whether they will get a second term, they delay difficult but important decisions and waste valuable time. In the end, they regret not trusting their convictions sooner. Those who worked with Tony Blair say he was too cautious in his first term but learned from this mistake and, in the end, the best way to win his support for a policy was to tell him it was sure to make him unpopular. David Cameron was sometimes compared with Blair early on in his career. But Cameron was always influenced more by Blair's failure to make good use of his time at Number 10. The spectre of the same thing happening to his own government has never been far from his mind. That is why he has pushed through the big changes he wants to deliver quickly and has been prepared to endure much criticism for doing so. From facing up to the need for immediate cuts in public spending, to radical changes in the education system, Cameron's calculation is that it is better to deliver something worthwhile in five years than achieve little in ten years and, given the hand he has been dealt, his best chance of getting a second term is to be able to demonstrate real results at the end of a single term in government. He was never going to have the luxury of saying 'give me more time'. But with pace comes risk, which must be managed. Recent months have seen rows over everything from the Forestry Commission to school sports. With so much going on, there is no reliable science to predicting which stories will blow up and which won't. The only sure thing is that when they do, everyone will ruefully say it was entirely predictable. The basic strategy of beating the artillery of time and being resilient on big policy issues is absolutely correct, but this must be matched by speedy versatility in shutting down the smaller issues that come out of the blue. After all, it's only a case of listening. 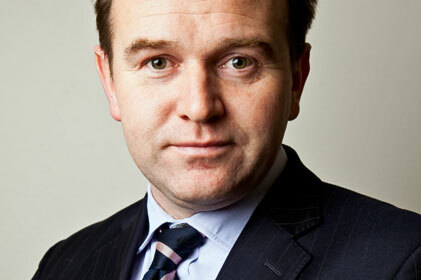 - George Eustice is Conservative MP for Camborne and Redruth and a former press secretary to David Cameron.